This is a nuc that I used to keep a swarm that I caught from my other hive about early in the spring when the weather warmed up. 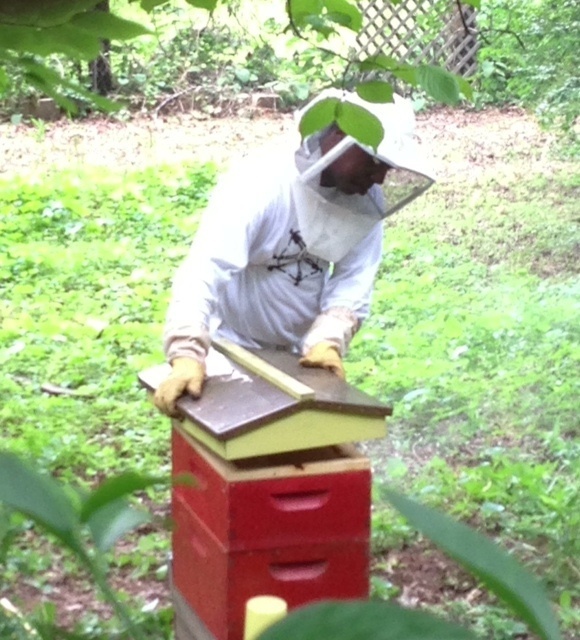 About two weeks ago, I moved the bees to its permanent location, an eight frame hive. 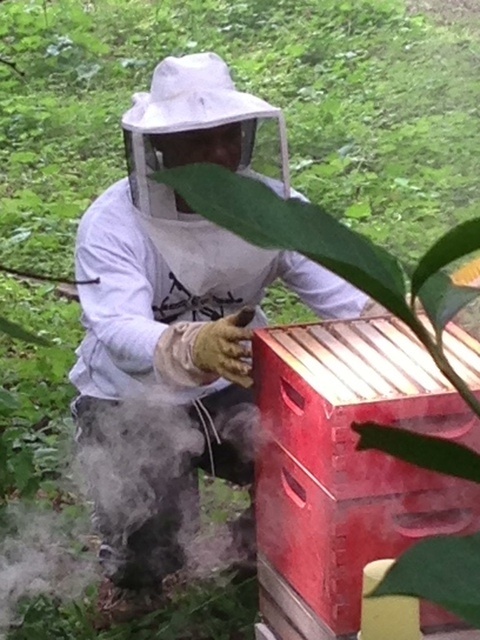 I have not blogged in a while and the truth is because of the hive beetles infesting my hives; I have been on the fence about continuing my journey as a beekeeper. While it’s a very rewarding job and I feel like I am helping out the environment by keeping bees, dealing with those pesky hive beetles last year have truly been nothing but hell. Maintaining strong hives seem to be the only real defense. 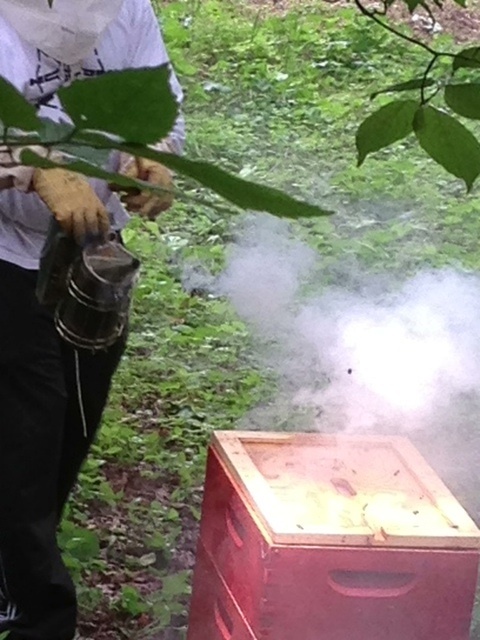 I refuse to use any type of pesticide or poison in my hive. Natural strong hives are the only option for me. My hives made it through winter; swarmed this spring, and I caught the swarm and placed it in a nuc that I had already prepared for possible feral honeybees. So far, there has not been a hive beetle takeover in either of my two hives. In fact, I have not seen more than two or three in either of the two hives which is a great contrast to what I have experienced in the past. 1. I purchased some “Honey B Healthy” the original feeding Stimulant with essential oils supplement and began adding it to the bees’ sugar water in the early part of spring. It seems to be working–keeping them strong and healthy. 2. I am not inspecting them like I have done in the past. I simply let them be. (Digression) There is an old abandon house (wood shack) in SC where I grew up. I was told that honeybees have been living between the walls of the shack for more than 30 years. No one really messes with them. The colony or colonies are still there till this day. I thought about trying to get some but figured I’d better let them be. So, I am letting my bees be. I have only cracked open the hive twice, once to add a honey super and second time was to check and see whether to add a second super. 3. 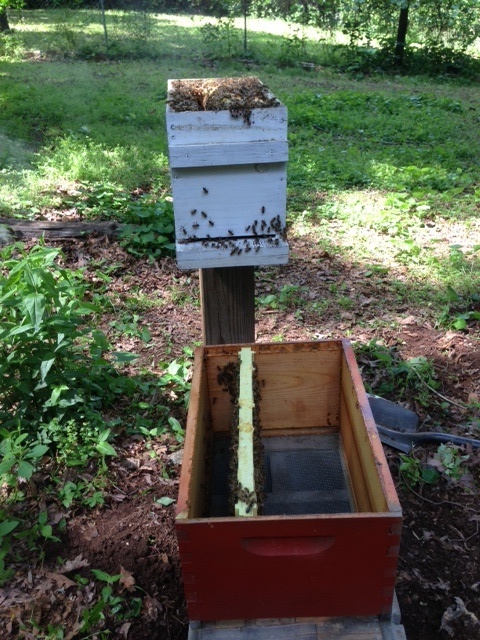 I decided this year that I would only use one brood box instead of doubling up and adding only shallow honey supers. This was not necessarily by choice. The real reason is that I am quite low on supplies such as, frames and wax foundation, due partly to the fact that I was on the fence about continuing my beekeeping journey. However, one of my honey supers that I added about a week and half ago seems to be filling up pretty fast. I hope the momentum stays with the bees. I want to add another honey super before it’s too late. 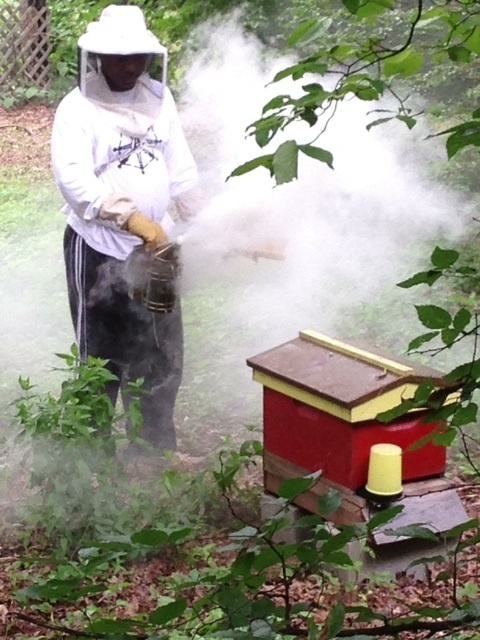 On 1 June 2013, I am smoking the hive so I can add a shallow honey super. The previous two years, I used two brood boxes. This year I decided to skip doubling up on brood boxes and will only use shallow honey supers. I am hoping I get some honey. Glad to read and see the hive is back in action. I hear so many beekeepers having challenges. I am happy for you that it has worked out so far.